Credit: Schmidt Ocean Institute. Download this image (JPG, 86.2 KB). [15-Oct-16] The bow of the R/V Falkor, an oceanographic research vessel. 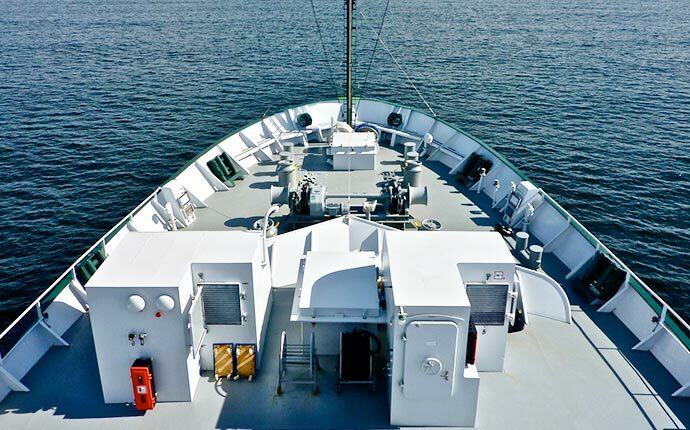 In January, the R/V Falkor will host the "Sea to Sky Particle Investigation" cruise. The expedition aims to observe the size distributions of phytoplankton groups and compare them with remotely-sensed observations from ocean color satellites. This "ground truthing" effort will contribute to improved algorithms for estimating phytoplankton abundance and community dynamics from space.